Jamir Sk alias Jitu Sk, son of Ali Sk who has been arrested for being involved in woman trafficking case. Within a week, acting against women trafficking, Dhubri Police has been able to rescue another 22 year-old girl of Dhubri district from Gurgaon under Gurgaon Police Station in Haryana. 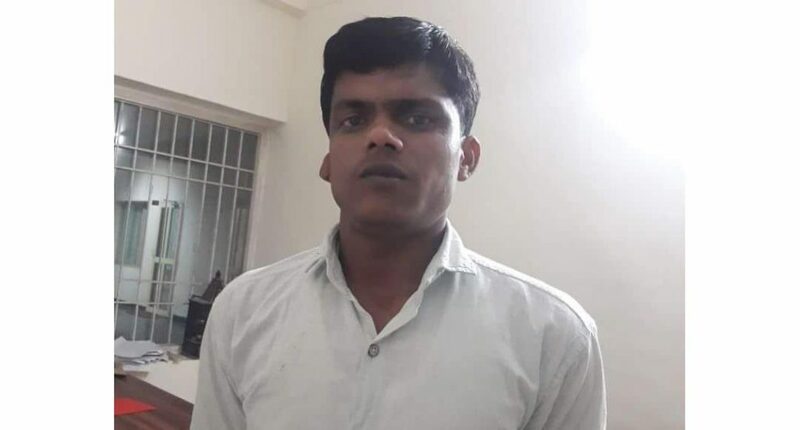 In this connection, police have also apprehended the prime accused, identified as Jamir Sk alias Jitu Sk, son of Ali Sk, who is a resident of South College Nagar area of Ward No 14 under Dhubri Police Station. A case (No 373/2018 U/S 366/370 of IPC) has also been registered with Dhubri Police in this regard. The operation, conducted by a 5-member team of Dhubri Police including one lady constable, was led by Sub Inspector Bhaskar Barman with the help of Gurgaon Police. Earlier on March 25 last, in a similar operation, a girl from Bilasipara area of Dhubri district was rescued by police and a culprit involved in the human trafficking case was arrested. The 22-year-old girl was also rescued by Dhubri Police from Haryana. The trafficker, identified as Sagiqul Islam, was arrested by Dhubri Police. Police said an eight-member team of Dhubri Police led by Sub Inspector Sanjay Buragohain conducted an operation with the help of local police and rescued the girl from Thowgaon area in Haryana. Arrested trafficker is a resident of Kalgachia in Barpeta district of lower Assam. The rescued girl, who is a resident of Bilasipara of Dhubri district, is now in the safe custody of Dhubri Police, sources revealed. A case was registered by the family members of victim girl with the Bilasipara Police Station bearing case no 1128 /2017 U/S 120 (b)/ 371/372 of IPC.